Fluency, Accuracy, and Confidence with The Partner Game! 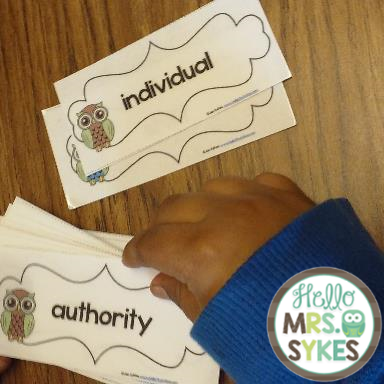 If you work with struggling readers in grades 2-5, you know it can be a challenge to keep these learners engaged and enthusiastic while practicing Fluency and Accuracy. Today, I'm sharing my secret weapon: The Partner Game! Ask your partner, "Would you like to go first, or would you like me to go first?" The first player is the reader, and the partner is the listener. The reader looks at the top card on the deck, and reads the word aloud. If the reader is correct, the listener says, "Good job," and their turn is over. If the reader is incorrect, the listener says, "Try again." If the reader says the incorrect word three times, the listener tells them the word, and their turn is over. Switch roles and repeat, using the next word in the stack. If neither player knows the word, they work together to decode the word. After a few minutes, collect the cards, and move along to your next task. 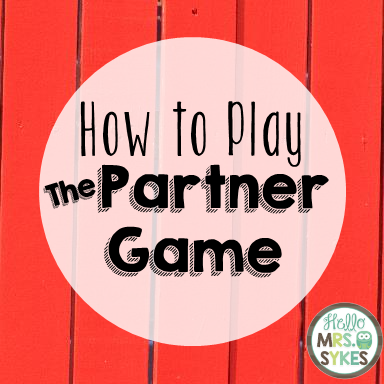 I play The Partner Game twice a week in my remediation groups with grades 2-5, and the most powerful part of this is the expectation that everyone will make mistakes. Sometimes, these mistakes are on purpose. The listener has to listen carefully to make sure the reader says the word correctly.